Pending government approval, Cathay Pacific will be the only airline that flies their Airbus A350 to London Gatwick from Hong Kong. If approved, the route will be operated 4x per week using the airline’s A350-900 aircraft when they are delivered. The route is scheduled to commence on September 2nd 2016. “Cathay Pacific has been flying between London and Hong Kong for 35 years and our commitment to the UK market remains strong,” said the airline’s general manager for Europe, Neil Glenn. “We are delighted to launch a non-stop service from Gatwick to Hong Kong, using our new state-of-the-art A350 aircraft, which will help meet increasing demand for both business and leisure travel between the Asia Pacific region and the UK”, the airline said. 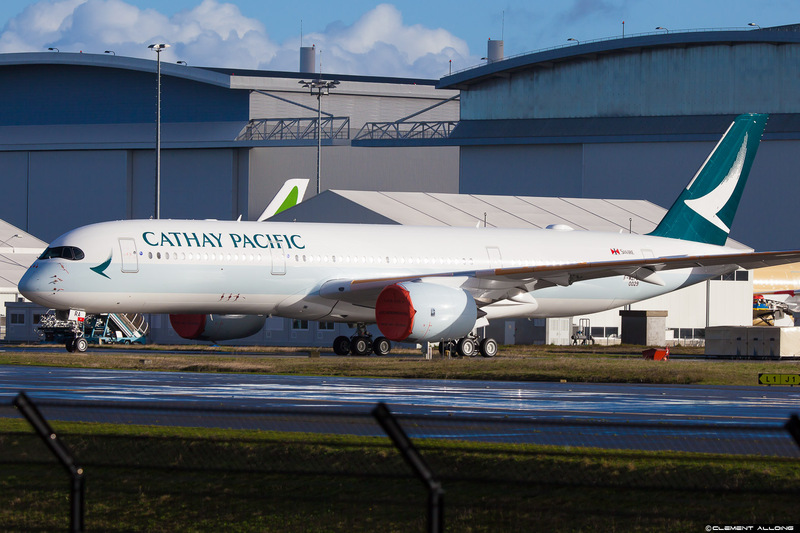 Cathay Pacifci will serve the Gatwick route with their refreshed Business Class cabin as well as their new Premium Economy & Economy class seats, the airline said in a statement. The configuration of the seats will feature 38 seats in Business Class in a 1-2-1 configuration with 214 seats in Economy with a 2-3-2 config. This new route gives more of an addition to Cathay’s network in the UK. The new service will complement the airline’s Heathrow route which operates 5 times per day. This adds on to the 39 total flights per week that are operated within London as well as the 4x per week service to Manchester Airport!